If I custom order this dress can I make it knee length instead of floor length? The color shown is that the blue? Bought these for my bridesmaids. Great quality dresses, customer service was amazing. Very fast shipping, definitely recommend! I brought these dresses for my bridesmaids after also purchasing my wedding dress from Veaul. 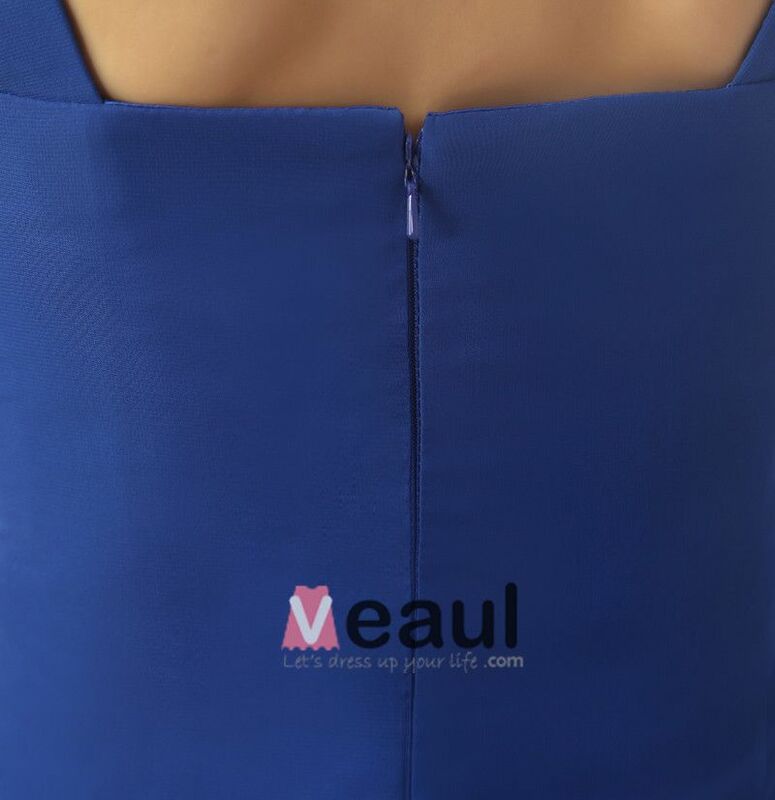 I was most impressed by the quality–the lining and the built in cups are nicely done and something you would expect from a more expensive dress. I also really liked the Royal Blue color because it would like nice on all skin tones. The only thing was a couple of the dresses were too short in length. I should have read the hem line details more closely. This was more of a big (or evening length dress), more appropriate for summer.